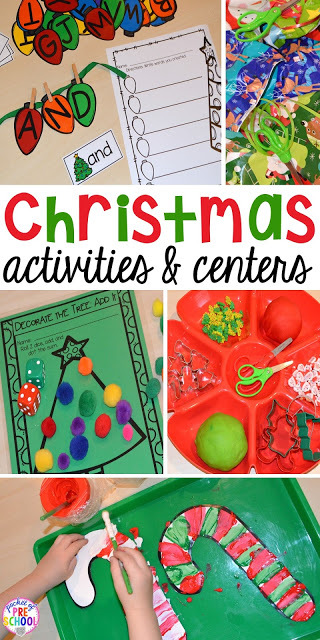 Christmas Activities and Centers for Preschool and Kindergarten: Freebies Too! It’s Christmas time and that means Christmas themed centers! Christmas is all students can talk about. Use their excitement about Christmas and make Christmas themed activities to keep them engaged and learning all month long. I made a few FREEBIES for you too (Candy Cane Patterns and Christmas Wish List)! Christmas means Christmas cookies! So why not make a Christmas cookie play dough tray. Add big and small cookie cutters, scissors, and rolling pins. If you have a ton of mini erasers like me, add them to the tray. Students can pretend the mini erasers are sprinkles. 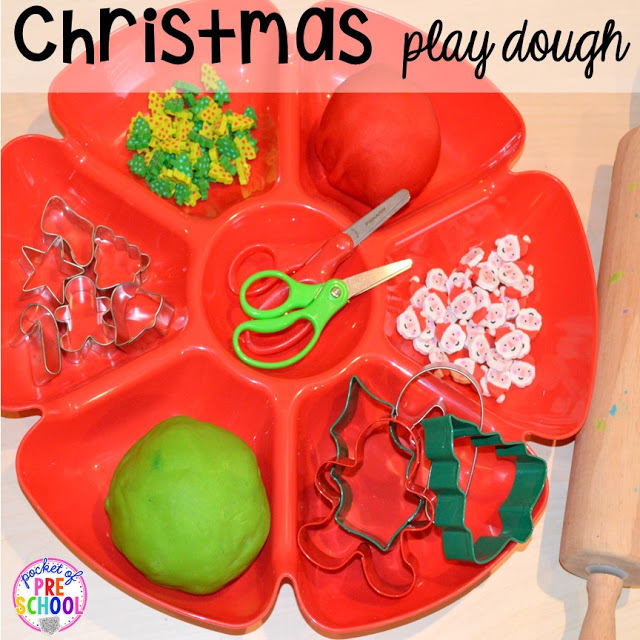 Playdough trays are fabulous for strengthening those little fine motor muscles and their upper arms and shoulders. Christmas Wish List FREEBIE! Click HERE to grab it. Grab some toy magazines and old book orders if you have some. Target and Walmart usually have stacks right when you walk in. Students can cut out things they want or want to buy for their family. Trust me, your kids will be excited to cut and strengthen their scissor skills. If a student is struggling, draw a circle around the object. They can cut on the line you drew for them. Paint with bows! I took the sticker on the back of the bow and folded it together so the students had something to grasp. 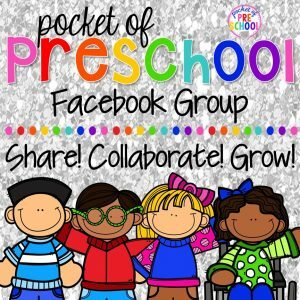 By grabbing the sticker with their fingers they will be strengthening their pincer grasp too! It’s a beautiful open ended art project. Stick a bow to their paintings once it is dry. Cut up some holiday wrapping paper and ribbon and put it in the sensory tub with scissors. Students can cut up the wrapping paper and ribbon into tiny pieces! All those tiny pieces will end up int the sensory tub making clean up a breeze. Straw bracelets (or ornaments) is a different way to practice lacing. Lacing straws on pipe cleaners will strengthen their hand eye coordination. And they have something they can take home and wear or put on their tree. I found these straws in the party section at Walmart. Christmas SLIME. Let kids get messy (and glittery). It is totally worth it. Plus it is a great sensory experience. Students can pull, squeeze, press, poke, and sculpt the slime. Science, sensory, and fine motor all in one activity. To make the slime, just mix equal parts liquid starch and white glue (and glitter). If it’s sticking to your fingers add a bit more liquid starch. If it’s you see excess liquid starch that won’t mix in, just add a bit more glue. Store the slime in a plastic container. Little learners learn by doing. Writing trays are the perfect activity help students learn to write letters. Put sprinkles in a tray. 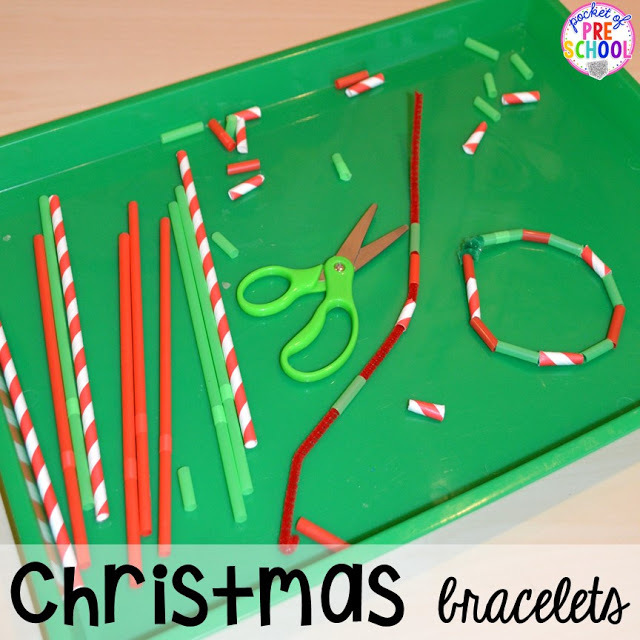 Students can practice writing letters in the tray using the candy cane. Gently shake the tray to erase. The Christmas light letters are in my Christmas Center pack. You can’t have Christmas without Christmas lights. Building sight words with Christmas lights will brighten their day. Students build the sight word with Christmas light letters, clip the letters to the ribbon, and write the word on the recording page. This activity is in my Christmas Center pack. Elf Letter Dot It (with Christmas mini erasers I found in the Target dollar spot) is a game students can play to practice identifying letters. 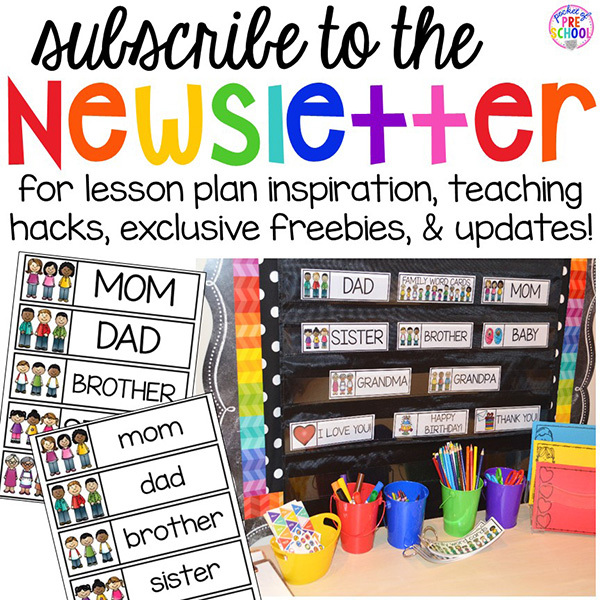 Students pick a magnet letter or card, identify the letter, and cover it on their board. This activity is in my Christmas Center pack. A Christmas theme means a Christmas themed writing desk/table. It is filled with Christmas paper, stickers, vocabulary word cards, envelopes, and various writing tools. You can grab the Family word cards HERE for FREE. This activity is in my Christmas Center pack. Trim the tree! Students can decorate the word family trees with ornaments that rhyme. This activity is in my Christmas Center pack too. 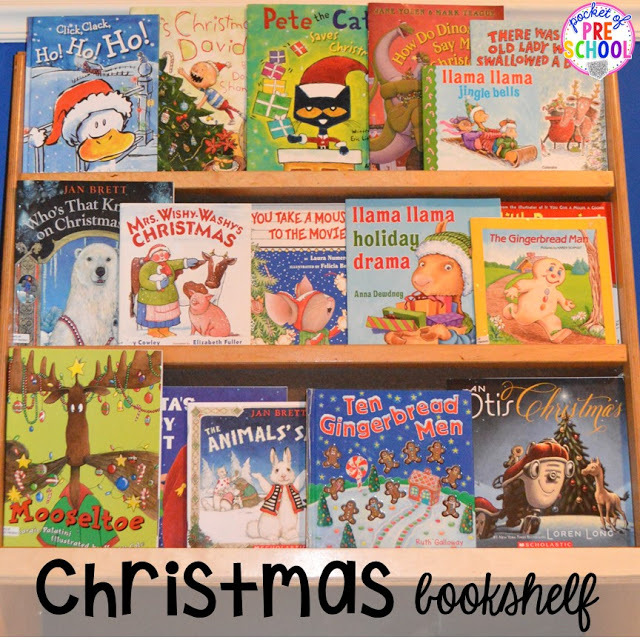 The bookshelf is filled with Christmas books for students to read of course. Check out my Christmas book list in THIS post. FREEBIE alert…Candy Cane Patters (click HERE). Students can paint or color a AB or ABC pattern on their candy canes. Plus the candy canes are perfect to hang up around the classroom too. Measuring presents using ornament rulers is an activity my students always LOVE. Students measure how tall or long each present is and record the measurement on the recording page. Then they have to find a gift box the same size as the present! Students are measuring, comparing, counting, and using a ton of math vocabulary! This activity is in my Christmas Center pack. Decorating Christmas trees is a must during the holidays. Make it a math activity! 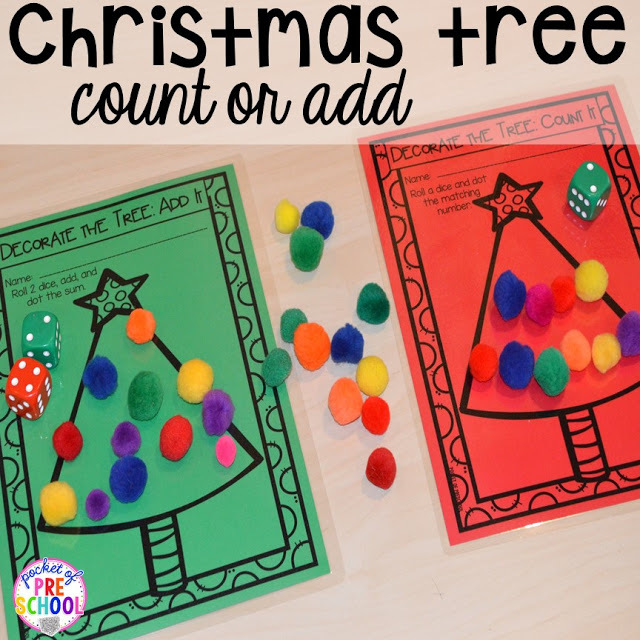 Students roll a number cube and count out the corresponding number of ornaments (aka pom poms). Too easy for your students? NO worries! Use two number cubes, add, and count out the total! This activity is in my Christmas Center pack. Or make a Christmas Tree craftivity! Cut up some holiday or green scrapbook paper into half in stips and let students cut like crazy! A Christmas Tree pattern is in my Christmas Center pack. Take the Christmas them into the blocks center using bells, bows, cotton balls, pom poms, mini erasers, poinsettias, candy canes, and Winter STEM I Can Build Cards. Challenge your students to build something new using building supplies and Christmas props! I found a soft Santa, elves, and gingerbread ornaments at Target. I just cut off the string so students can use them as building props. Teach your students that Christmas is a time to help and give to others! It is so important for students to learn how they can help others and develop empathy for others. Create a Helping anchor chart so students can visually see all the ways they can help at school, help at home, help others, and help our world. This activity is in my Helping and Giving pack. Make a helping jar in your classroom! Every time a student helps at school, others, or the world put a pom pom in the bucket and share how they helped with the class. Once the bucket is full, have a helping celebration! Students can vote on what celebration they want to have from the chart. Trust me when students see others helping, they will help too creating a stronger classroom community! This activity is in my Helping and Giving pack. Need to make parent Christmas gifts? Check out my all time favorite parent gift using frames from the Dollar Tree. Just click the image.